Exposure, 2015: Empowering Women Through Skateboarding. Relz Murphy with a frontside grinder in the bowl. It’s 2015 and the world still has its issues and society still has its flaws, but one thing that’s changing for the better each and every day is skateboarding, its audience, and its impact. 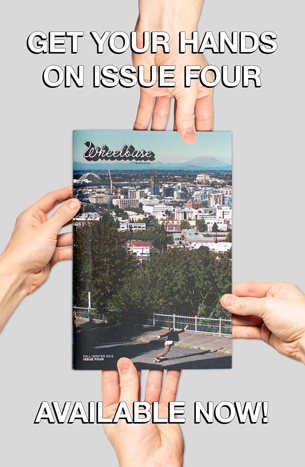 More girls than ever are embracing skateboarding, and the culture within, and we here at Wheelbase couldn’t be more stoked! 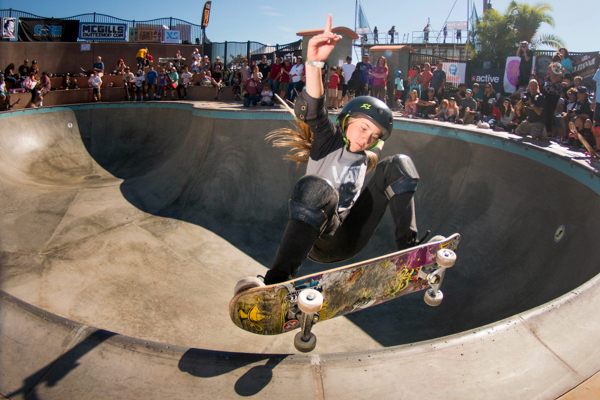 From girls only 7 years of age and younger to some of the more experienced pros, women are empowering themselves through skateboarding and killing it throughout the skate scene in every way possible. 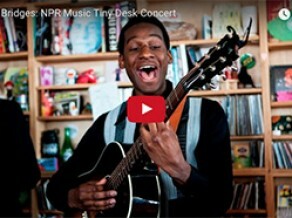 They’re shredding, and truly proving that this is an activity fit for every type of person out there. 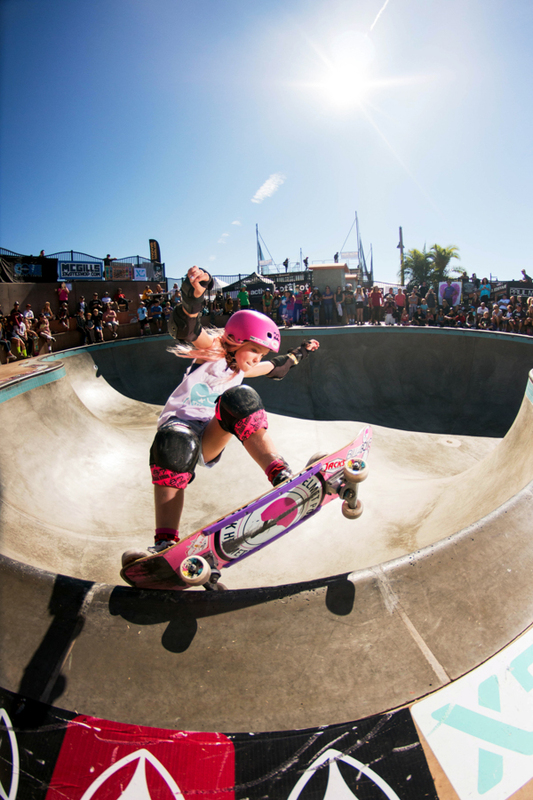 This weekend I attended the Exposure skate event down in Encinitas, California, an event that has played a solid role in the growth of women’s skateboarding recently. 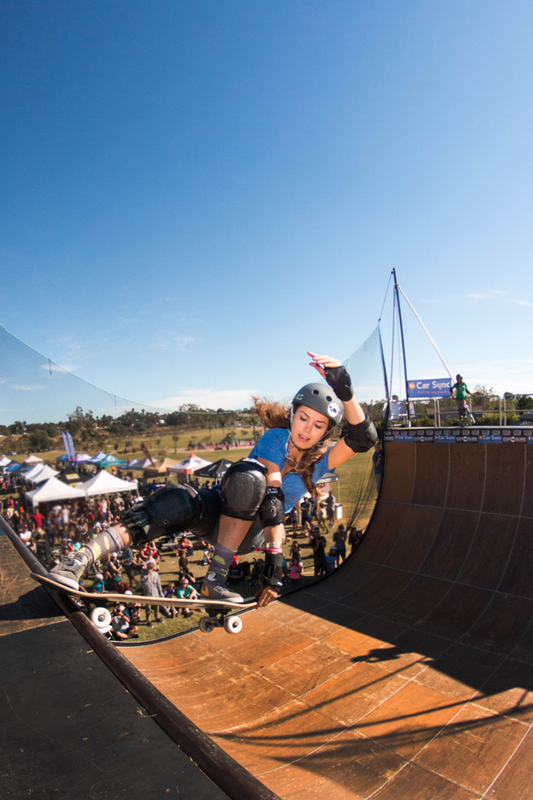 Throughout the past four years this event has provided to be a rad platform for female skaters and is proof & testament that women can skate just as hard as men, if not harder! So what is Exposure exactly? 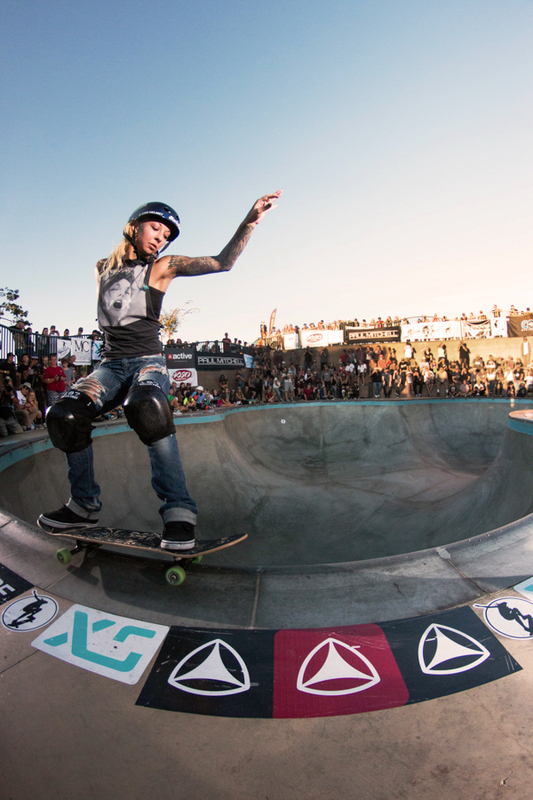 Well, every year Exposure holds a massive event for women’s skateboarding in Encinitas, Ca. featuring street, bowl and vert disciplines. 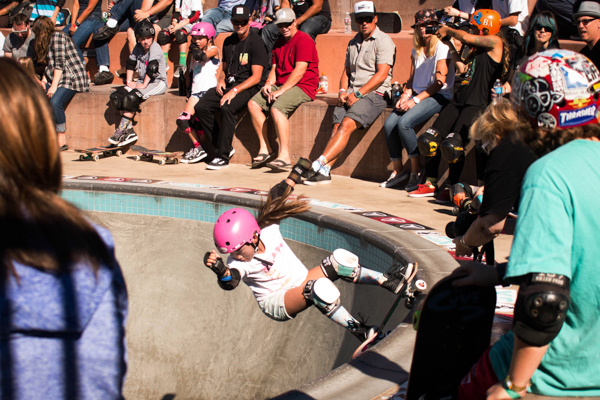 This event strives to bring the community together and strengthen the ties of women in skateboarding, as well as to broaden the whole city’s (and outside world’s) views on skateboarders. Julz Lynn, stand-up grind with style. 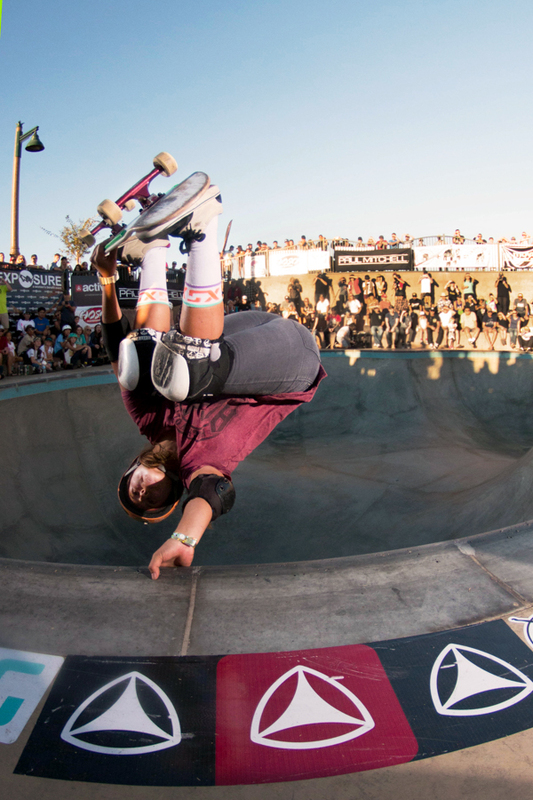 Hunter Long, fully inverted in the bowl. If I could describe this event from what I saw this first year of attending as a photographer, I would have to say it looked as if a street-fair met a massive skate contest in the middle of Encinitas—but filled with so much more stoke, love, positivity, empowerment that I can’t even begin to explain. From the massive audience that surrounded me I heard shouting and cheering for all the girls skating—words of encouragement and positivity being screamed out to every one shredding! I saw families enjoying the excitement of skateboarding, young children meeting talented skaters and having positive role models introduced to them, and so many others pouring out their positivity and demonstrating the ideas that Exposure was formed around. Amelia Brodka, the founder and president of Exposure, and everyone else working alongside her, really made this event such an extraordinary gathering, and I was amazed at how much of a positive influence they could spread in a single day—never mind the everlasting impressions affecting so many forever after. 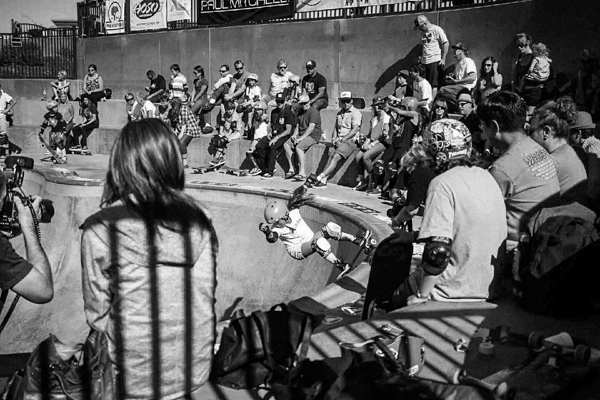 That being said, this event really wasn’t just your normal skate contest, it was so much more than that. I saw so many acts of kindness, words of stoke, and overflowing flows of positivity that I could go on and on about it. Ha ha! But simply put, this event shines light on the aspects of skateboarding that are truly unique and amazing, and has demonstrated what we as a community can do when we work together with both skateboarders and the surrounding community to create a positive impact. Bella Kenworthy getting coping while the crowd cheers her on. Brighton Zeuner going up, over, and out. Allysha Le, grinding a Smither with poise. Poppy Olsen going big on the vert ramp. Amelia Brodka twisting and sliding a crailslide on the vert ramp. Hey! Let’s start this off with some basic information shall we? What’s your name, how old are you, where are you from, and how long have you been skating? My name’s Amelia Brodka. I’m 26 and I’m from Poland, but currently live in Oceanside, Ca. I’ve been skateboarding for 14 years. 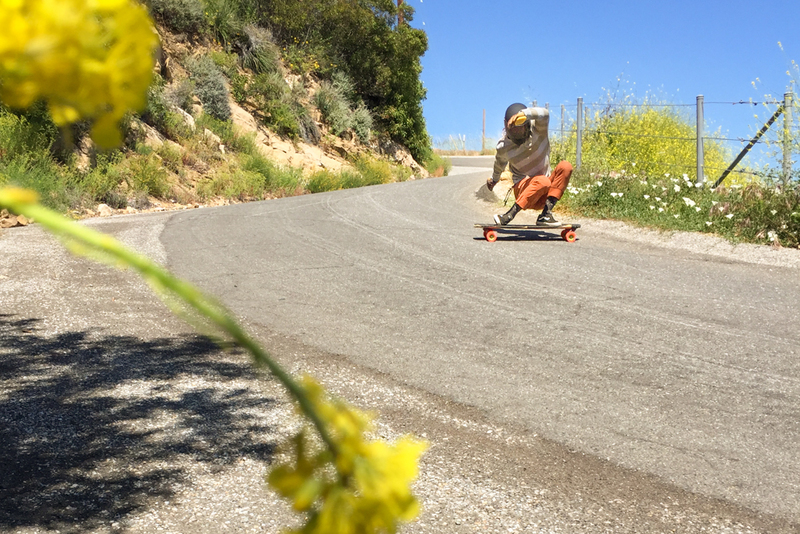 How did you first get into skating, and what keeps you stoked on it? 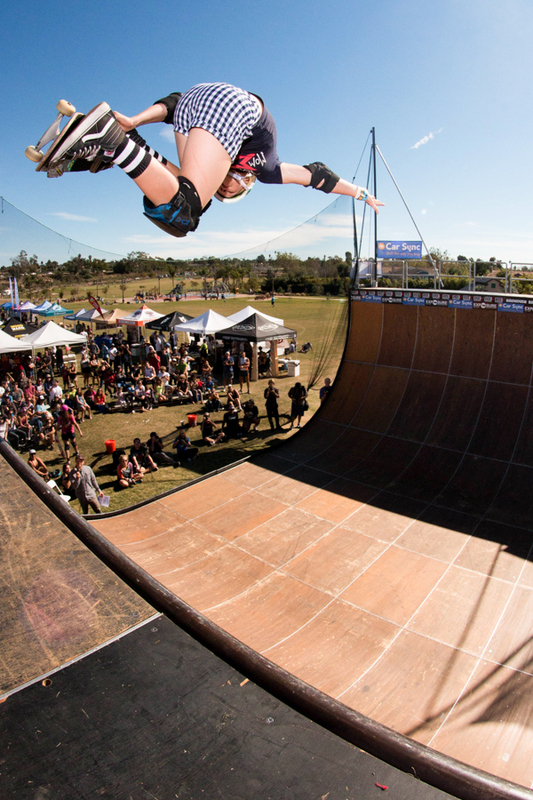 I first got into skating when I saw Lyn-z Adams Hawkins and Cara-Beth Burnside skating for an X-Games women’s vert demo, and seeing more and more girls getting into skating and really progressing keeps me inspired. 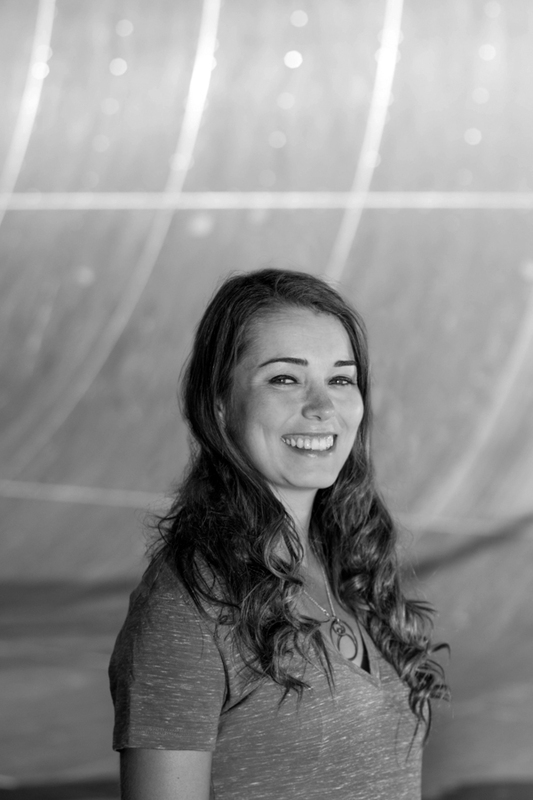 Amelia Brodka smiling for a pre vert-session pic. Photo: Grove. What advice would you give to any girls, or really anybody else thinking about getting into skating? I would just say, if you’re really excited about it and have fun doing it, just go for it and keep doing it. How is this event different than a lot of other skate competitions? What goal are you gals pushing with this event? This event is a little bit different because we actually worked with the local government, and the Encinitas Parks and Rec to really make this happen the way it does. The event is also serving as a fundraiser for survivors of domestic violence. Nice! This event is truly amazing and all the girls out there are ripping so hard! Is there anything else you would like to say about the event or anything going on? I just want to give a big thank you to everyone who made it happen, and to the cofounder of exposure Lesli Cohen—she really did a lot to make this possible. We’ve been working together the past four years and it’s been growing every year. Thank You! Relz Murphy ripping the Ecinitas deep-end. 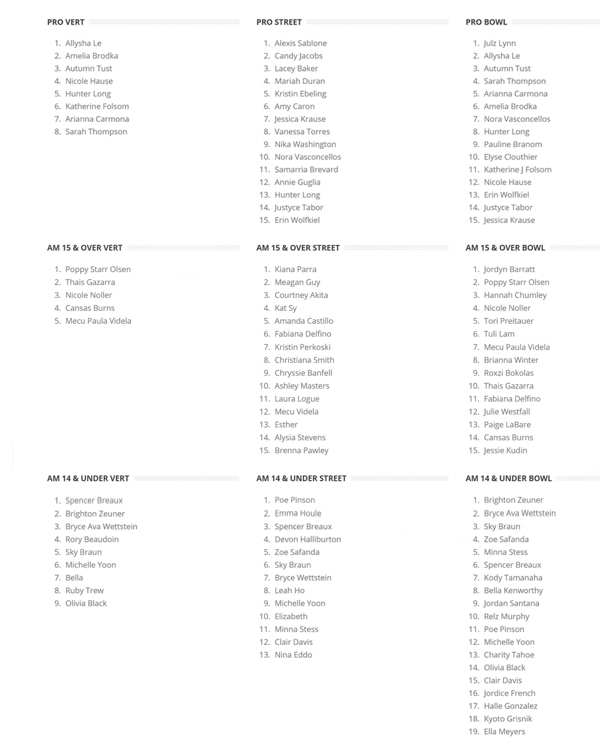 One Response to Exposure, 2015: Empowering Women Through Skateboarding.